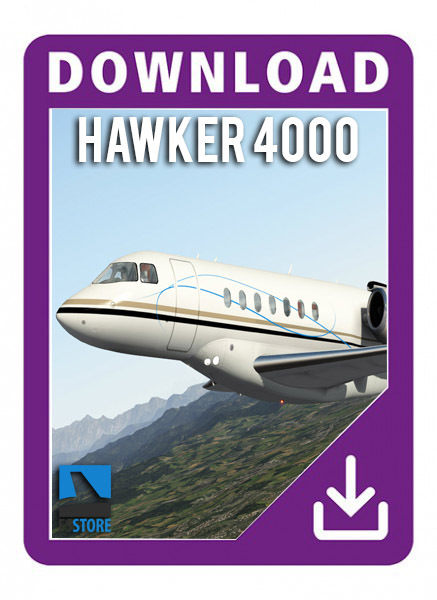 The Hawker 4000 is a super-midsize business jet developed by Hawker Beechcraft .The Hawker 4000 can be outfitted to seat ten people. The aircrafts carbon composite construction gives it more interior space than many jets in its class. Interior standing room is an average of six feet. This composite construction also makes the aircraft lighter than a standard aluminum structure, allowing a maximum range of 3,445 nautical miles, and a service ceiling of 45,000 feet (14,000 m). Professionally developed 3D interior and exterior. Electrical, hydraulic, pneumatic and fuel systems modelled. Flight Management System Manual, Aircraft Operating Manual and Flight Tutorial Included.